An increasing number of Korean pharmaceutical firms have built smart factories, but their manufacturing performances are still at a “base level,” an expert said Wednesday. Hanmi Pharmaceutical, Korea United Pharm and Jeil Pharmaceutical recently established smart factories with advanced automation. The companies said their plants were armed with latest and most effective equipment that meets the high standard of the U.S. FDA’s Current Good Manufacturing Practices (CGMP). However, a local electronic engineering expert said Korean smart factories perform only basic manufacturing functions, lagging two steps behind Siemens’ intelligent plant in Amberg, Germany. Han Jae-jong한재종, executive director of technology division at Hanmi IT, a subsidiary of Hanmi Pharm, categorized smart plants in five levels, at a forum, organized by the Korea Health Industry Development Institute and the Korea Pharmaceutical and Bio-Pharma Manufacturers Association. According to Han, the five levels refer to; the most advanced level where Internet of Things, Cyber-Physical System, and future technologies enable a flexible production; intermediate-2 level where the system works similarly with Siemens’ Amberg plant, which has the most advanced intelligent automation among currently-existing manufacturers around the world; intermediate-1 level; basic level where facilities and the manufacturing processes are linked and monitored by smartphones; and non-smart level where work is done manually and manufacturing processes are not linked despite the use of CAD/CAM. Local drugmakers’ smart plants are at the basic level, the second from the last, Han said. 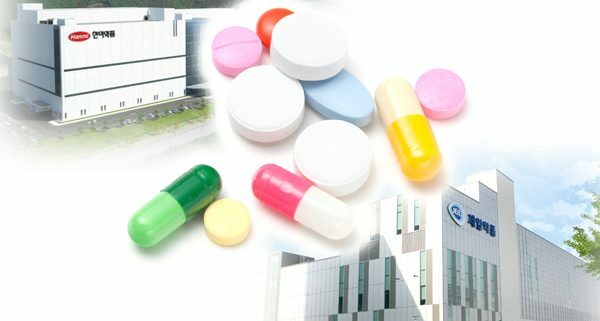 Some Korean pharmaceutical firms adopt expensive solutions from overseas, but most of them fail to get technological support due to lack of workforce at a Korean branch of the solutions provider, he noted. Han suggested local companies increase investment in technologies and the government establishes a consultative body with related associations to build infrastructure and provide proper education. “Local pharmaceutical firms do not usually understand even traditional IT terms such as enterprise resource planning (ERP) or manufacturing execution system (MES). They also have difficulty in conducting collaborative work between production and other divisions such as IT,” Han said. Through a consultative body where all related parties such as Korea Pharmaceutical and Bio-Pharma Manufacturers Association, the Ministry of Health and Welfare, the Ministry of Food and Drug Safety, the Ministry of Science and ICT and the Ministry of Trade, Industry and Energy meet together, they should provide IT-related education for the companies, he went on to say. Han said pharmaceutical firms should also enhance IT power to advance their technologies at their smart factories. The Korean drug industry has much room for improvement in advancing smart plants because a majority of local drug makers are still at the non-smart stage, he said. “Unlike multinational pharmaceutical firms that massively manufacture several blockbuster drugs, the Korean drug industry is centered on generics, producing many kinds of medicinal products in small portions. This is Korea’s weak point,” he said. Han added, however, that the Korean system could make it possible for a flexible production in the upcoming era where the needs for various products will rise. A empresa oferece remuneração diferenciada, para criação de leads, orçamentos, novos clientes e comissionamento de vendas. Inicio imediato, regiões com clientes e possibilidades de negocios imediatos. Nova Palestra de Danilo Lapastini – Produtividade, a chave para o sucesso! Produtividade, a chave para o sucesso! 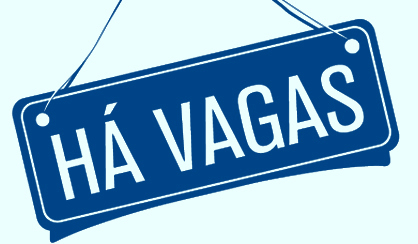 Abordando temas importantes como o mapeamento do processo fabril, coleta de dados para analise e tomada de decisões, aumentando a produtividade e a lucratividade, OEE, entre outros temas. 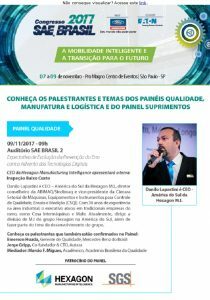 A primeira apresentação acontecerá em um evento na Hexagon MI no proximo dia 15/09. Produtividade, a chave para o sucesso! A quarta edição da Revista Manufatura-Inteligente está sendo editada e deverá ficar a disposição ainda durante o mês de Setembro. 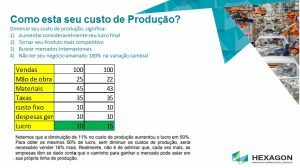 Varias materias interessantes sobre Manufatura, Qualidade e perfil profissional farão parte da nova edição.